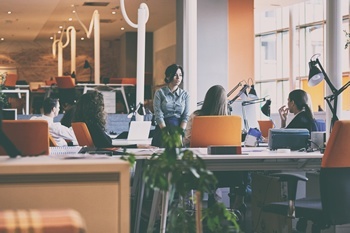 Changes in the modern workplace present new opportunities for companies in the highly competitive software and technology space. Advances like cloud-based SaaS Solutions, open APIs and financial automation algorithms can increase efficiency and foster innovation. 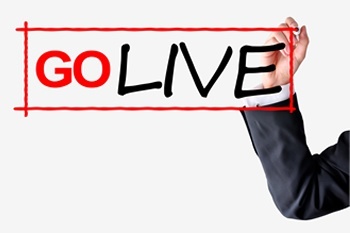 Adapting to this rapidly changing environment requires organizations to respond quickly to sometimes seismic shifts in technology, government and industry regulation, and customer requirements. 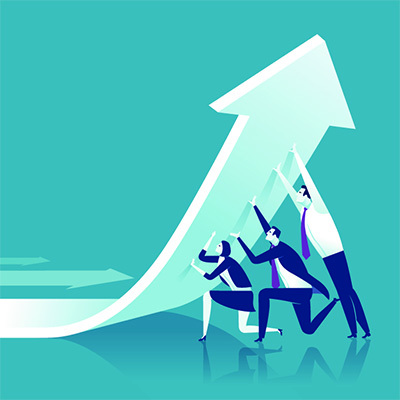 Successful Software & Technology Enterprises are keeping pace by adopting modern solutions to replace old, error prone processes like revenue recognition, forecasting, project management or the year-end close. 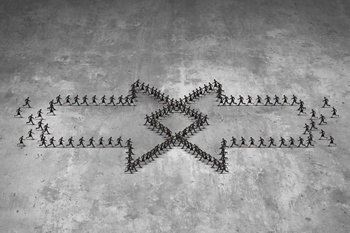 Success in today's competitive marketplace demands companies be agile and ever-evolving. Are the systems and processes you use holding your company back, or moving your business forward? 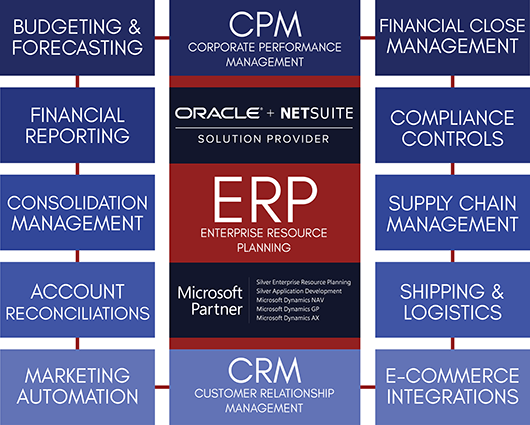 Business Solution Partners develops Enterprise Resource Planning (ERP) solutions based on NetSuite and Microsoft Dynamics, and a wide range of other SaaS solutions that complement your ERP - solving for the needs of every division within your organization. From implementation, to integration, training and ongoing support, we're your full stack solution provider for all of your technical, financial, and business development software and strategy needs. Some of the biggest companies in the world rely on your software to run. For insights and strategies for growing your business, you can rely on BSP. Competition in the App Development marketplace is fierce, so business systems must keep pace with innovation and growth for successful scalability. You're experts in data warehousing and security solutions for your growing clientele. With BSP you will know the best practices to grow your business. Companies on the cutting edge need agile, scalable systems. Whether you're developing the latest crypto-currency or introducing a paradigm shifting approach to sales, BSP is your business development partner. There's an entire world built upon the infrastructure of the internet. Whether you're focused on IoT, driverless vehicles, or artificial intelligence, BSP is right on frontier with you, solving for your unique business needs. We believe that virtually any solution provider can sell an ERP system, but few can match our financial automation and software vertical specific implementation expertise. Our highly trained implementation team has amassed decades of practical experience in software deployment - ranging from small system implementations to large, highly complex cross-platform integrations. Managing complex and error-prone budgeting and forecasting spreadsheets can be a challenge. Business Solution Partners equips you with the tools and training to share information collectively, formulate sound business strategies, track key performance indicators, make rapid decisions, and address core issues to make your organization run more effectively. We provide the financial and operational insights your executives and managers need to achieve their business goals. In the fast-moving world of IT and software, project management is critical to the success of a business. With Business Solution Partners, you will learn ways to improve communication, time management and productivity, project scheduling, and collaboration, through the assistance of technology, and employee empowerment paradigms. Our years of experience, and specialization in solutions for Software and Technology companies, allows BSP to deliver projects on time and on budget. We provide tangible results to help you achieve your goals. To enable your team to succeed, we offer Project Management tools, and the strategies to integrate them into your workflow to better monitor and manage momentum. Many Software companies find it challenging to manage revenue. It can be difficult to recognize cash flow when sales processes, multi-platform transactions, recurring revenue streams and de-centralized accounting standards combine to make a mess of the books. When you partner with BSP, you can expect no more wasted time, project delays, cash flow problems or lost revenue. Our revenue recognition management solutions allow your company to have total visibility into your revenue streams and provide comfort in the knowledge that your data is accurate. 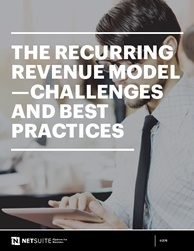 The Software and Tech Industry has had a tremendous impact on the concept of Recurring Revenue. SaaS subscriptions are outpacing traditional licensing arrangements in popularity among both publishers and users. These billing arrangements are a huge boon to business; enabling better forecasting, providing long term revenue stability, and fueling growth. However, on the finance side, Recurring Revenue can be an absolute nightmare! If you need to get your recurring revenue under control, Business Solution Partners has the software and strategies for you. We can provide you with a better framework for, and strategic approach to managing your recurring revenue. Managing the customer relationship from prospect to evangelist demands a combination of data visibility and automation processes designed to educate and nurture leads. Leveraging the right mix of CRM and Marketing Automation technology with Business Solution Partners proven go-to-market and Inbound Marketing methodologies is a winning combination for any growing business. From Implementation and Migration to ongoing Campaigns and Sales Process Consulting, Business Solution Partners provides marketing teams with the insights and tools necessary to achieve maximum brand awareness, manage the customer relationship, and drive the sales pipeline. 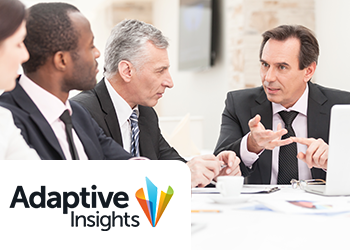 Adaptive Insights facilitates planning, forecasting, budget and consolidations - making analytics and reporting more accurate and visual. Effectively model personnel, revenue and costs at the dashboard level with this powerful suite of financial tools. 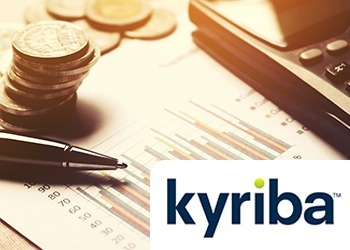 Kyriba helps Treasurers in the Software and Technology vertical manage their most precious resource - Cash. Benefits from Risk Mitigation to Control & Compliance solutions empower your treasury operations. and enable your team to provide outstanding sales and customer service. Business Solution Partners' Software & Technology focused consultants have worked with hundreds of businesses to streamline operations and increase margin. Our proven business process consulting services uncover efficiencies and optimize your organization through a combination of strategy, technology and process. Let us evaluate your business and provide practical advice for process improvement and employee empowerment. During this intensive process, we interview company managers, thoroughly examine all business processes from accounting to logistics, and engage with front line employees. We probe to find pain-points and bottlenecks - the hidden black-holes in your organization that gobble up margin. At the close of discovery, we provide actionable recommendations to ensure that your organization is a streamlined, margin-optimizing machine. We then stay with you through the execution phase of the plan, providing software and process implementation, integration and training. Want to learn more? Sign up for a free 30-Minute consultation to discover how BSP can affordably and effectively transform your Software & Technology business to address the modern marketplace and consumer. Time and again, the ImplementationPlus methodology has helped us produce successful, end-to-end implementations for the Software and Technology industry by following the same proven process for every project. Refined and perfected over hundreds of successful implementations, ImplementationPlus supports every phase of your deployment, from planning and development to education and ongoing support. At Business Solution Partners, we're experts in connecting disparate software systems together to ensure a single source of truth between your ERP, CRM, CPM and other business platforms. This streamlined approach to data management is truly transformative, providing increased efficiency, a reduction in errors and inaccuracies, greater operational and financial transparency and confidence in data accuracy. But we don't just build integrations for end users. Increasingly, Business Solution Partners is being tapped by our SaaS partners and clients to develop "native" integrations between their solution, and a host of other symbiotic systems. 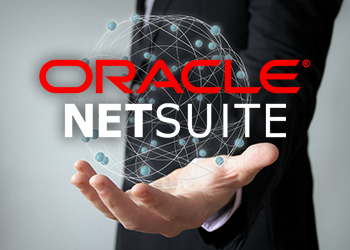 Our growing library of Software Specific Native Integrations ensures that companies like NetSuite, HubSpot, Adaptive Insights, Coupa, and PandaDoc continue to delight customers by offering enhanced functionality and cross-platform compatibility with the ever expanding SaaS universe. The Business Solution Partners team is well versed in the development languages necessary to connect almost any platform. We leverage API calls, web hooks, oAuth paths and many other solutions to provide scaleable, customized integrators that end users love to implement. The pace of business increases every day. To stay ahead of the competition, you need educated, empowered employees who can tap the full potential of your NetSuite, Adaptive Insights and Microsoft Dynamics systems. We provide On-Site, Online and Classroom training in addition to custom training manuals for the software systems we implement. This training can help you realize additional value from your applications and provide the skills your employees need to share information efficiently, boost productivity and move your organization forward. 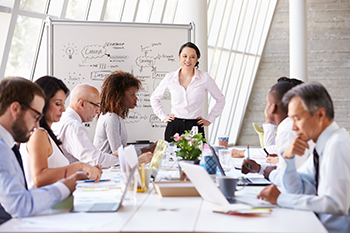 Convenient and cost-effective, our training offerings are designed by curriculum experts and delivered by certified, knowledgeable training professionals. For added value, our training uses actual business data, including all customizations and enhancements, and addresses such topics as process flow, application functionality and technical design and capability. Don't Lose Your Precious Data! 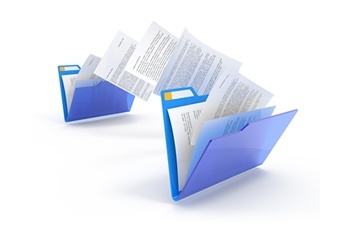 Apart from your employees, business data is probably your organization’s most important asset. So when it’s time to move from one Accounting, Enterprise Resource Planning or Customer Relationship Management system to another, it’s vital that you enlist the services of an expert in data migration. At Business Solution Partners, our experienced team follows a proven, structured methodology for extracting your legacy data from your old ERP or CRM system and successfully migrating it into your new system. Using this time-tested process, we can scrub your old data, eliminate duplicate data and even enhance your data to make it more usable than it was previously. When you call on Business Solution Partners to perform your data migration, you’ll enjoy the confidence that your critical data will move from your old system to your new one safely, securely and quickly—enabling you to begin using it immediately. Plus, you’ll avoid the time, expense and potential errors associated with rekeying data from one system into another. If the job of a CFO weren’t already difficult enough, the Sarbanes-Oxley Act, Health Insurance Portability & Accountability Act (HIPAA), and ASC-606 has made it much more so. SOX law includes numerous checks, balances and requirements for financial reporting and controls that affect all publicly held organizations. This means that in addition to their day-to-day duties, CFOs need to ensure that Sarbanes-Oxley rules are followed to the letter throughout their organization. 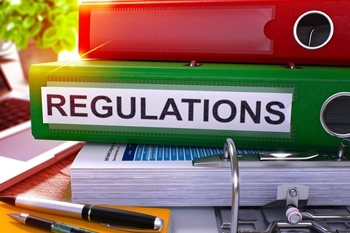 HIPAA law provides for Healthcare continuity, privacy and accountability. ASC-606 ensures that software companies are prepared for audit with guidelines and regulations on reporting and data collection. We can help you implement the right accounting, customer and patient software to help your organization achieve SOX, HIPAA and ASC-606 compliance by managing compliance initiatives related to Sections 302 and 404 of the Sarbanes-Oxley Act and Section 164.502 of the Federal Register’s Department of Health and Human Services. Our Software & Technology Resource Gallery hosts a wealth of information that pertains to your business. Click on a cover to download these insightful docs. As a technology company ourselves, we understand the circumstances that can prevent your business from moving forward. Our clients in the high-tech space benefit from years of specialized experience selling, on-boarding, implementing and managing software solutions for companies just like yours. If you're ready to reach new heights - fill out the form below, and one of our specialists will contact you to begin your journey.